Don’t drive drunk. Don’t drive while impaired. Just… don’t. It’s sound advice you’ve heard a million times before. It’s common sense. And it’s one of the best ways to avoid taking a significant hit to the wallet when it comes to auto insurance. There’s no way around it. Having a DUI on your driving record flags you as a high-risk driver. High-risk drivers pay more for auto insurance. If you have a poor driving history, a DUI may cause your insurance company to cancel your policy. Even with a previously perfect driving record, a DUI will at the very least cause your insurance rates to go up. Every state in New England requires that you report your DUI to your insurer. A DUI is considered a major violation, like reckless driving or hit-and-run. You will be required to get what’s called an SR-22, a form filed on your behalf by your insurance company which constitutes proof that you are carrying the required amount of liability insurance. It’s also a red-flag that you are a high risk driver. (In Virginia and Florida, the required form is called an FR-44.) There will be a filing fee, usually between $20-$50. Not all insurance companies will file an SR-22. Some insurance companies will not insure high risk drivers, so if yours does not file, you will likely need a new policy with a company that will file the form. Depending on the state in which you live, you will be required to carry SR-22 insurance for three to five years. After filing an SR-22, brace yourself: your insurance rates are going up. A recent study showed that on average insurance rates increased by more than 56% – a $1000 yearly rate would become $1560 after a first DUI offense. Note that these estimates are for a first offense. Multiple DUIs will result in concomitantly larger rate increases or, more likely, policy cancellation. Note also that rate increases are contingent on other factors such as age and driving record – a 50-year-old with a clean driving record will likely face a lower rate hike than a 25-year-old with multiple moving violations. In addition to requiring an SR-22, you may also be required to install (at your expense) an ignition interlock device. The cost to install these devices varies by jurisdiction, but is usually around $175-$300. These devices are basically breathalyzers attached to your vehicle’s starter. 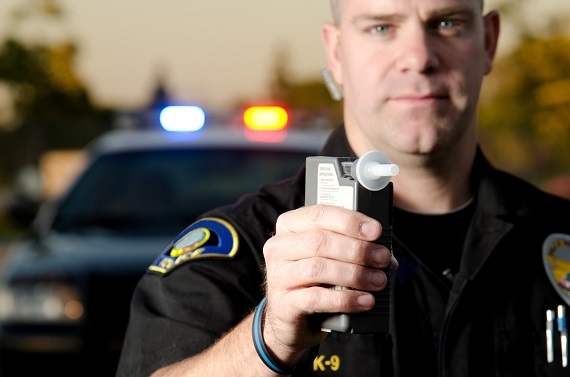 They won’t let the car start if they detect alcohol on your breath (the base limit of alcohol allowed varies between jurisdictions, but is almost always “none”). Also, at random times while the vehicle is in motion, the system will require another puff into the analyzer. This “rolling retest” is designed to prevent non-drivers from providing a breath sample and to prevent consumption of alcohol behind the wheel. Depending on where your DUI occurred and the severity of the charge, you may be required to keep an ignition interlock on your vehicle as part of your DUI plea. In other jurisdictions, installing an ignition interlock device may shorten the duration that your driving privileges are suspended. Your insurance advisor can help sort out these details and make sure you’re in legal compliance and on the best path toward repairing your driving record. As with any insurance matter, your independent insurance agent is there to answer questions and walk you through the tangle of insurance-related problems arising from a DUI. But the best solution is still the simplest: don’t drive impaired. Have a designated driver, take a cab home, use a ride-sharing service like Lyft or Uber. A little planning and foresight now can make a world of difference.